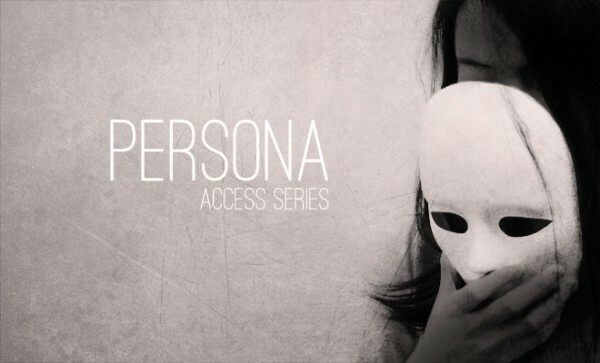 We started a new series called, “Persona” this past Friday at Access, our gathering for college students. The dictionary defines, “persona” as, “a person’s perceived or evident personality, as that of a well-known official, actor, or celebrity,” “personal image or public role”. We all know how our public image does not always match up with our personal/private image. This is why we all struggle with issues of hypocrisy, authenticity and honesty. As we started the night, it was exciting for two reasons: 1) The gathering place was packed and filled with students who were hungry for God; 2) Diana, one of our staff members, under HMCC’s pastoral covering, shared God’s Word. I can’t wait until we can get the message online so that people can listen to it. Even though this was her first time, God used Diana powerfully as she shared God’s heart about authenticity and honesty. She set the example of being brutally honesty and vulnerable by sharing from her own personal life. I am praying that God will raise up more college students with character of honesty and authenticity. As I have said many times before, “Our CHARACTER is the CONTAINER that CARRIES our CONVICTIONS.” If our convictions and dreams are big, then we need a bigger container. So let’s get busy building up our character for Christ. Even though it is the day after the Easter Celebration, I am still glowing from the blessings that God poured out to our church. We hit a lot of key markers at this Easter. We have seen the highest number of people attending an Easter Celebration in our 15 year history. We have seen the largest number of newcomers in any church gathering we have had in the history of our church. We have seen the largest number of people receiving Christ in one gathering. We have seen more members in our church come together serve for a gathering. And the list goes on. It is pretty humbling. All we can do is give God all the glory. 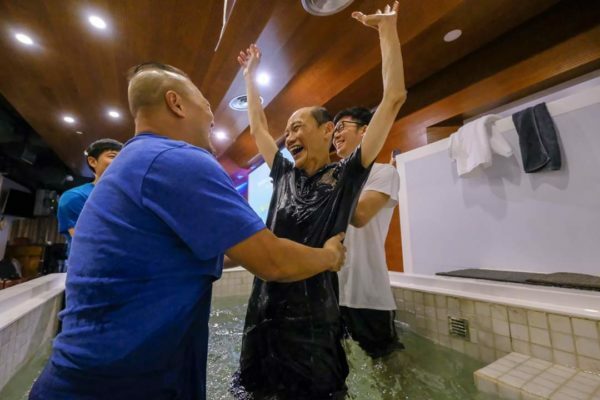 The most exciting part for me is to hear about all the first time commitments that people made to follow Jesus Christ. Even talking and praying with people after the Easter Celebration, I sensed that God was moving and speaking to the hearts of people. As another Easter is recorded in HMCC’s annals, I realized that this Easter was a special one for us. It is not just because of the key markers that we hit, but rather some of the key lessons that God was trying to teach us (again). 1)	TIMING – God’s timing is impeccable. I still remember back in 2011, we found out that all the larger venues on the University of Michigan campus were booked. We were trying so hard to figure out how we were going to fit everyone in our church facility, especially with all the friends and family members that people were going to invite. It wasn’t until February 2012 that someone from the UM facility reservation office contacted us regarding a venue that opened up. But the incredible thing about all this was that God quickly opened up not only one venue but rather two – we had options! It is in these times when I am reminded that God is always in control. 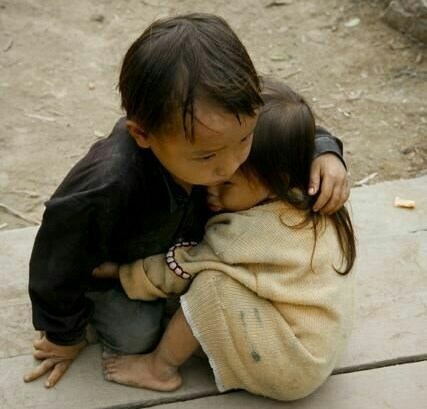 He is never too late or too early, but rather He answers prayers just in time. 2)	TRUST – Once the venues opened up, we realized that we did not budget the rental of the Easter facility for the 2012 budget. This was not a good situation because the rental of the facility would cost some money which we did not have. 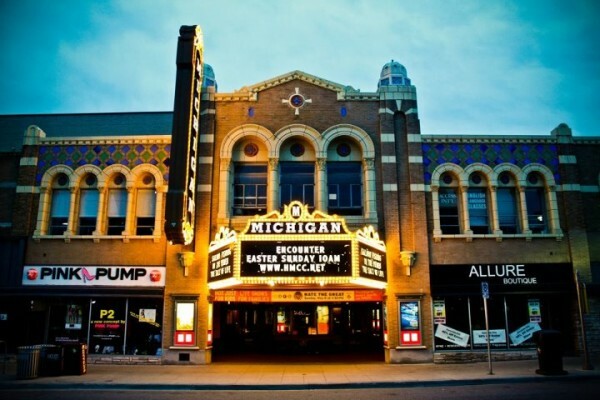 As the Board of Directors and I prayed, we concluded that it was God’s will for us to have our Easter Celebration at the iconic Michigan Theater and that we needed to trust in God. Therefore as we moved forward with this decision, the people of God stepped up and gave generously. It is humbling to know that when God gives us a vision, He will always provide the provisions because He is always “for” (pro-) His vision to come to reality. God always honors those who honor Him in obedience no matter what the cost. 3)	TEAMWORK – Every time I think about the commitment level of our church members, I am just humbled and grateful. Months before the Easter Celebration, many people invested their time and energy in getting things ready. Then on the morning of Easter, many of them got up early in the morning (4:30AM!!) and some even stayed up all night to get everything prepared. It was great to see every ministry team in our church working together to make Easter Celebration all about Jesus. The more I think about it, the more I realize how I just play a little part in the overall worship experience. While the preaching of the Word is important, there are so many other things that go into an Easter Celebration. I am thankful that I am part of an incredible team. 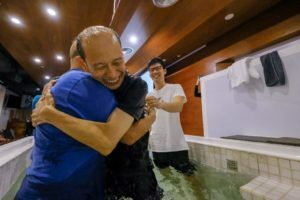 When all different types of people from all different lifestages can come together to serve God, it is one of the most powerful testimonies to God’s love and grace. 4)	TRUTH – Too often people are afraid to invite their friends to church because they think that their friend might feel uncomfortable, especially during the preaching or even the worship time. But we have to be convinced that unless the truth of the Gospel is preached and the power of God is experienced, people will not come to place in their lives to trust in Jesus Christ. This is why both, truth and grace are needed. It is always tempting for the preacher to “water-down” the truth because there are a lot of new people or even pre-Christians in the audience. But as we unapologetically preach the truth in love, then we know God will take care of the rest. Ultimately, it is the Truth of God’s Word and promises that will set a person free (Jn 8:32). This is why it was encouraging to see many people respond for the first time to receive Jesus Christ as their Lord and Savior. I am still amazed that God allows me to be a part of all this. The journey keeps on getting better and better with each passing year. Even now, I’m looking ahead to next year’s Easter! In the last 3 years, I have been to Austin many times. 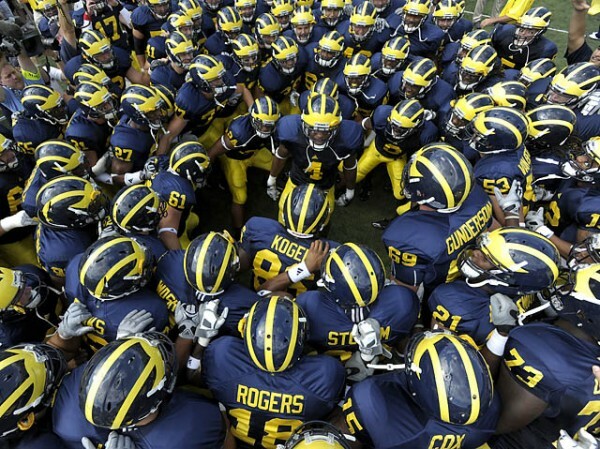 It is always a joy to come down to Texas to 80 degree weather when it is in the 40’s in Ann Arbor. But more than the weather, it is a privilege to come to Austin and spend some time with Pastor Ben and his family, as well as with the HMCC of Austin family. This was a special retreat and as I have mentioned to the HMCC-AUS family, “This was a mile-marker experience in our spiritual journey with Christ.” It is always humbling to know that God loves His people and His Church more than we can ever love it with our finite love. This is why I am constantly reminded of the importance of looking to Him to build up His Church (Mt 16:18). There was definitely a new vibe in HMCC-AUS. They got some awesome freshmen who are excited for the things of God. They also raised up new leaders and servants who really demonstrated God’s heart, as they served at this retreat. They even expanded in their worship team. God is moving down in Austin. One thing that really blessed me was that the church came together to fast and pray for 21 days. As soon as we started to worship and as soon as I opened my mouth to preach, God was already moving. Everything flowed so easily, which was a good reminder that preparation really does make a difference (Ex 19:10-19). I am just thankful and humbled that I got the privilege of witnessing God’s power with front row seats! We had a wonderful time at the 15th Anniversary Celebration. It was beautiful to see how God has faithfully led us, as a church for the past 15 years. God was not only faithful, but He has been writing an incredible story of transformation. There have been so many people who came to Christ for the first time in our church. There have been numerous people who have experienced true freedom through the power of the Gospel. There have been people who were trained as Kingdom workers, who are now in various parts of the world making a difference for Jesus Christ. All I can say is that we serve a mighty God and it is all about Him. When I saw the 15th year video, I couldn’t help but to get misty-eyed as flood of memories went through my mind. It is hard to believe that God has given us the privilege of serving Him here in HMCC-AA for all these years. Through it all, it has always been about Christ. 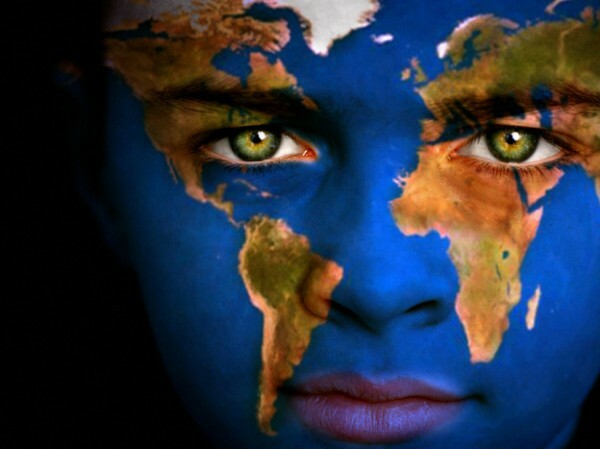 It is His fame that we want to continue to proclaim to the nations. It is His story that God is writing and we are just the minor characters in this epic journey. The best is yet to come! “Not to us, O LORD, not to us but to your name be the glory, because of your love and faithfulness” (Ps 115:1). This is a recap of some of the great things God has done in the last 15 years, in and through our church.